Small in stature, big in efficiency. The Pressure Drive is an ultra-compact and meticulously designed hand pump made from 100% custom CNC-machined aluminum. 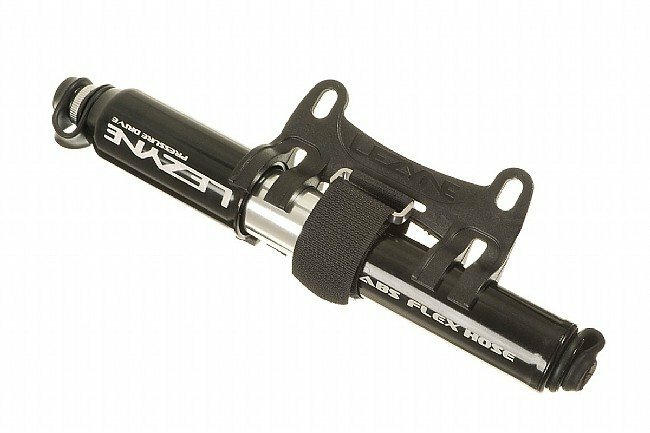 Despite its short length, this hand powered inflator is incedibly efficient, using HP technology to inflate tires to riding pressure with 30% fewer stokes. The Pressure Drive also features the Flex hose which creates an airtight seal against the valve just like the Lezyne floor pumps. This design eliminates the need to hold the pump head during inflation and helps prevent damage to fragile Presta needles. For easy removal, the ABS (Air Bleed System) allows users to release air pressure in the pump hose after inflation -- no elbow grease required and no accidental un-threading of removable valve cores. The Flex hose features a reversible head for Presta and Schrader compatibility and conveniently stores inside the pump handle when not in use. 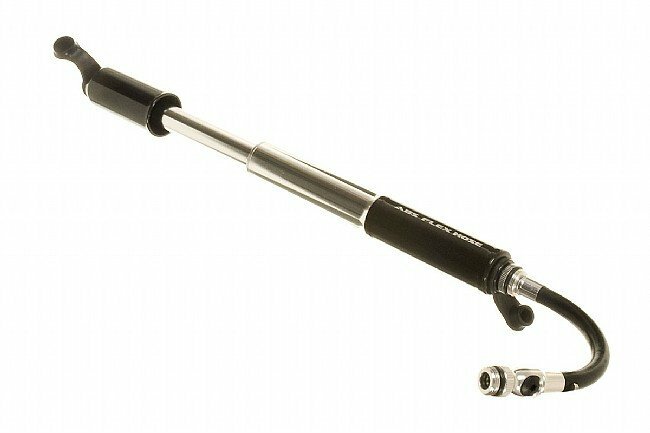 The Pressure Drive hand pump is available in size Small Small (170mm long, 90 grams ) or Medium (216mm, 102 grams) and inflates tires up to 120 PSI (8.3 Bar). For use with Presta or Schrader valves. High Polish Black only. Composite frame mounting bracket included.